Hammersmith & Fulham has the third largest proportion of EU citizens in England and Wales. Thirty nine thousand or 21.5% of the people living here are nationals of the other 27 EU countries. Another 22% of the local population was born in countries outside the EU. Their rights are not about to change, but many have made the point to me that if Britain turns its back on EU citizens it is capable of doing the same to other migrant communities. I have been looking into the post-Brexit rights and surveying the views of EU27 nationals for three reasons. Firstly, contrary to what the Government says, 3.7 million EU citizens will lose their current status if we leave the EU. As indeed will 1.3 million UK citizens living in the EU. And UK citizens generally will no longer have all the rights they currently enjoy when travelling to the continent. Secondly, whatever platitudes the Prime Minister comes out with, the experience of a lot of EU27 citizens is that they no longer feel welcome here. And thirdly, if the Government can screw up on something as basic as this, what hope is there for the more difficult parts of the Brexit negotiations: how we trade, how we continue to play a role internationally and how we maintain the current border with the Republic of Ireland? On the first point I have set out the current proposals for EU citizens’ rights. This comes with two big warning notices: everything agreed is conditional on a final withdrawal agreement being signed, if we crash out nothing is guaranteed; and a number of important points like what happens in the 21 month transition period are not clear at all. On the second, I have surveyed a sample of around 500 EU nationals living in Hammersmith to find out how Brexit is treating them. You can read the overall results here, but the standout findings for me are that 40% have had negative experiences following the Referendum in terms of their treatment in the UK; and while less than 1% think the Government is handling the Brexit negotiations very well, 60% think they are doing so very badly. I found the descriptions of how individual EU nationals had been discriminated against and abused particularly upsetting. Here are some examples, which I have anonymised. As for the wider consequences of Brexit, few people I meet, however they voted, think Britain will prosper outside the EU. This is clear for the private sector and wider economy following the release of the Government’s own predictions which show every region of the country performing worse over the next 15 years if we leave. It is also true for the public sector. Recently I spoke in a Commons debate on the effect of Brexit on the NHS, highlighting the impact on both Imperial Healthcare Trust, which runs our local hospitals, and Imperial College, which is building a new campus at White City. Going back to the survey, I noted only 3% of people thought the final say on the Brexit negotiations should be left to the Government, 31% said Parliament and 66% a further Referendum. Parliament has demanded a meaningful vote on the proposed deal, likely to take place around October. If the deal is voted down, and unless the Government agrees to return to negotiations rather than leaving with no deal, I suspect the decision will have to go back to the people, either in a General Election or Referendum of the way forward. In the past month I have met with everyone I think can help find a way out of the current crisis and impasse in the NHS locally: the Hospital Trust, the Clinical Commissioning Group who hold the funds, the GP forum, the local authority, Save our Hospitals who campaign for Charing Cross, and even the new Health Minister. Has this Henry Kissinger-style shuttling achieved any results, I hear you ask? Bit early to say is the answer, but at least the issues are clear. The main one is how long Hunt and co will maintain the farce that the Charing Cross demolition scheme can go ahead sometime after 2020. We have just been through the worst few months in NHS memory in terms of waiting times and performance, and pressures are set to grow. Whether it is the personal accounts of patients, the off the record briefings from clinicians or the published statistics, no one honestly thinks we should lose hundreds of acute beds and more blue light A&E departments. Two weeks ago this report on our health care in NW London was published. If you have any doubt that the battle to save Charing Cross must continue, please read it. I left a copy with the Minister. Also on my travels I heard about ‘GP at Hand’. This is a service operating out of a Fulham GP practice that allows people from around London and the South East to register here and consult a GP online. On paper that sounds fine -; it is convenient for doctor and patient sometimes to talk by phone or skype, with a face to face meeting as a back-up. – It is the NHS in H&F that picks up the bill, which they estimate could soon be £3 million a year. -The service is most attractive to younger people, usually those with fewer health problems. Local GP surgeries are losing these profitable patients to GP at Hand are being left with patients who have the most complex, chronic and expensive health needs. These costly patients are of far less interest to those running GP at Hand. It looks like another attempt to take advantage of the open access which is the NHS’s guiding principle. Before this spreads more widely I will raise it in Parliament to see how the benefits of online consultation can be retained without the risks. 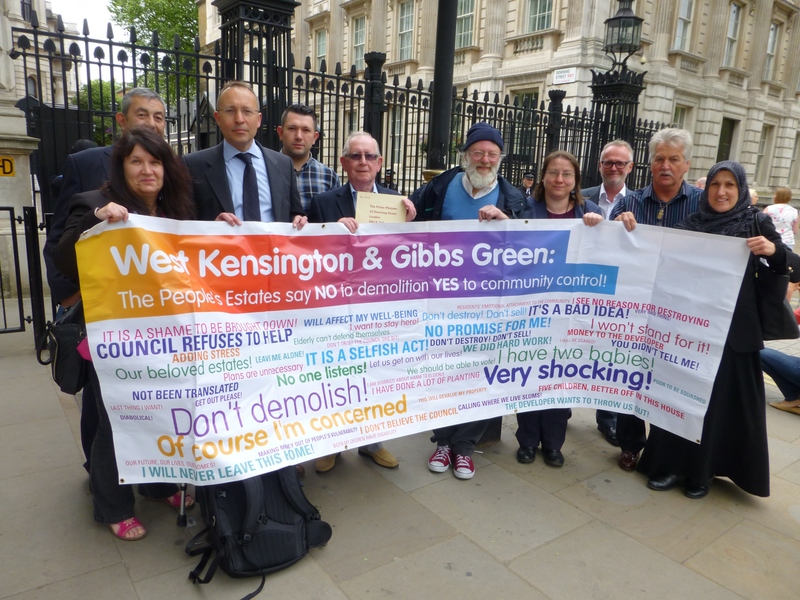 I don’t want it to look like I am setting homework by asking you to read something else, but I took the unusual step last month of calling a long Parliamentary debate on a local issue, the redevelopment of West Kensington and Earl’s Court. This is not a new issue: on the contrary it is over ten years since the previous Conservative council hatched their scheme to demolish 750 good quality affordable homes, uproot a community of 2000 people and assist a developer to build 7,000 high-rise luxury flats with not a single additional council or housing association home. The development on 80 acres of prime central London land was always going to be controversial, but when it was proposed there was no questions that it would be profitable for the developer. Especially since the Conservative Council didn’t just give away the land, it did a deal that would leave us with a debt of more than £80 million. Now, however, the development is in deep trouble: partly as a result of the resistance of residents, who have remained steadfast despite having their lives on hold for a decade; partly because the high-end property market in London is tanking and likely to fall further if Russian and other dirty money is kept out; and partly because the political weather has changed. Sadiq Khan, Stephen Cowan and even K&C in the wake of Grenfell care more about residents on normal salaries and less about oligarchs and their builders. Of the 1,900 ‘luxury’ apartments built in London last year, over half have failed to sell. The reality of these ghost towns is that many of the flats are simply lying unsold, with overseas investors desperate to cut their losses and pull out of the London market. The latest indicator that the developer is in trouble came last week with the sale of Empress State Building to the Mayor to serve as London’s new counter terrorism and serious crime centre. This landmark building has always been a strategic public resource, first for the MoD and latterly the Met. But in almost their last act before they lost power in 2014, the Conservatives granted its conversion as 250 luxury homes. Now its proper public use is restored. So please read this intriguing tale. Interesting in itself but also an example of how Conservative politicians have not just neglected but exacerbated the housing crisis. There have been opportunities to build the affordable homes we need even in this small and crowded borough, but they have been squandered, in West Ken, in White City and along the riverside. We have local elections on May 3, for which the campaign proper started last week. There are a lot of issues at stake but the three you have just read about: Brexit, the NHS and housing are the top lines of my inbox and doorstep conversations. But in case I am wrong tell me what your key concerns are in this very short survey. What I am sure of is that Stephen Cowan and his Labour colleagues have done an excellent job in H&F in the past four years, with everything from cutting council tax to protecting and improving services for the most vulnerable at a time of unprecedented Government cuts. Here is his take on what’s at stake on May 3. They are the most pro-EU Council in the country and the first to call for a Referendum on the exit deal with an option to stay in. They have been resolute in defending the NHS and opposing the demolition of Charing Cross. And they are building the affordable homes to rent and buy that H&F families need. If you are interested in what else I have been raising in Parliament, you can find it here. Recent topics include: autism, contaminated blood, the visit of the Saudi Crown Prince, why we need to continue the Leveson inquiry, why we need the tube service restored at Olympia, the appalling rise in child poverty in London, and the government’s back-tracking on promises to child refugees. Locally it has been a time of openings and launches, very spring-like despite the weather. 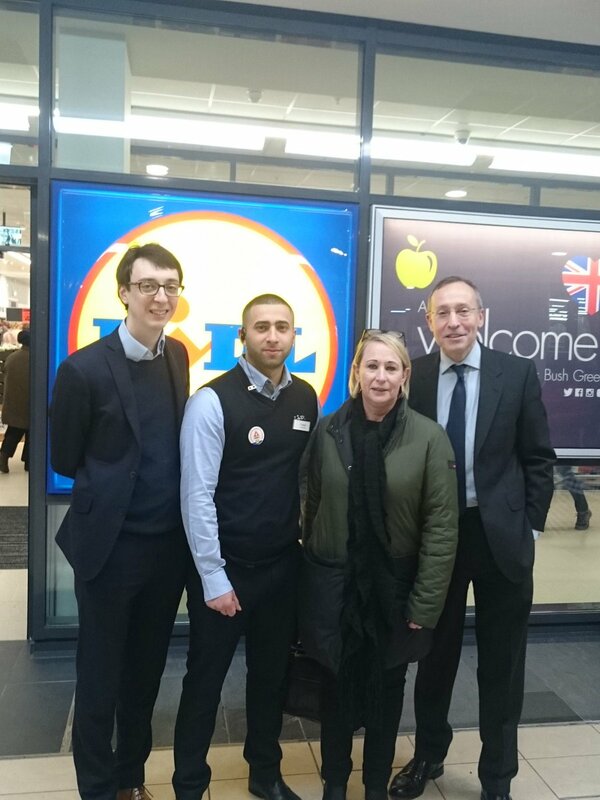 Lidl opened in the W12 Centre to much excitement and Westfield opened their extension including the new John Lewis making it the biggest shopping centre in Europe. Homelessness campaigner Papa Baiden whom I met through the Upper Room published his inspirational book and invited me to launch it. And I went to two brilliant concerts by the Fulham Symphony orchestra and the Addison Singers. If you are not already signed up to these groups you are missing out on what H&F has to offer. I’m ending on a sad note because we have just lost one of Hammersmith’s most inspiring and compassionate citizens. 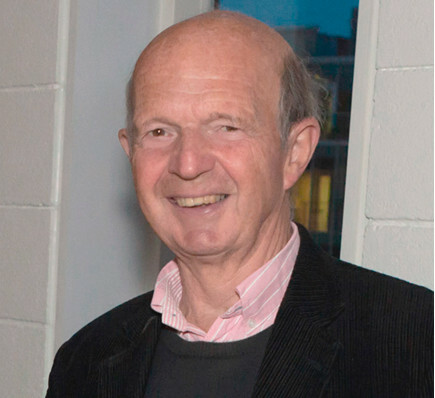 Tom Ryland, Chairman of the Hammersmith Society and local architect, succumbed to a long battle with cancer last month. It is quite difficult to describe Tom to those who did not know him, though many readers will have done given his presence in our community for so long. In character he was professional, effective, tenacious and driven to do the best for the area to which he was devoted. In personality he was charming, relaxed, funny, and above all decent. It’s a strange combination but I guess he achieved so much, with clients, with the powers that be, and with fellow campaigners because of his persuasive and easy going manner, though always with a touch of rigour. Because he remained so characteristically cheerful even while suffering from a terrible disease I think it will take a long time to register his passing. I hope to see many of his friends at the thanksgiving service on 21 April.